Michelle Abraham, soprano recently made her debut with the prestigious Caramoor International Festival in the Bel Canto Concert Series with conductor Will Crutchfield. A Connecticut native, Ms. Abraham made her professional debut with Connecticut Grand Opera in La Traviata and also appeared in their productions of Orfeo ed Euridice and Gianni Schicchi, starring Sherrill Milnes. In 1998, she made her Weill Recital Hall debut with the NY Vocal Artists, singing Leonora in Verdi’s La forza del destino and Elizabeth in Wagner’s Tannhauser. She appeared with NYVA again when she advanced to the finals of their Annual Competition. Other recent engagements include her debut with the New York Verismo Opera in the title role of Puccini’s Suor Angelica and in Gianni Schicchi, under the musical direction of Richard Woitach. Oratorio works include Handel’s Messiah, Rutter’s Requiem and Dubois’ Seven Last Words of Christ. In concert she has been featured in "Opera Favorites" for the Archbishop of Canterbury, Taconic Opera’s Opening Night Gala, hosted by Sherrill Milnes, as well as several concerts in Spoleto, Italy at the Teatro di Caio Melisso. 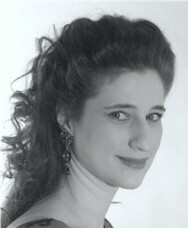 Valeria Girardi, mezzo-soprano earned her Bachelor of Arts from Iona College. This season’s operatic engagements include the roles of Preziosilla in La forza del destino and Maddalena in Rigoletto with New York Grand Opera. She has also toured in the roles of the Mother and Grandmother in Little Red Riding Hood for the Mobile Opera. At the 1999 Ash Lawn-Highland Summer Festival in Virginia, she sang the role of Mrs. Ott in Floyd’s Susannah, where she also covered the role of Marcellina in The Marriage of Figaro. Other roles performed include Prince Orlofsky in Die Fledermaus, Mother Marie in Dialogues of the Carmelites, Mrs. Nolan in The Medium, Zita in Gianni Schicchi, Frugola in Il Tabarro, La Zia Principessa in Suor Angelica and Antonia’s mother in Les Contes D’Hoffmann. She has been alto soloist in Handel’s Messiah with the Bronx Choral Society, Dvorak’s Stabat Mater, Mozart’s Regina Coeli and Solemn Vespers with the Choristers of Upper Dublin in Pennsylvania, where she will sing Beethoven’s Missa Solemnis in May. Ms. Girardi has also appeared at Lincoln Center, National Opera Association in Boston, New York Grand Opera at Carnegie Hall, New Rochelle Opera Company, Westchester Hudson Opera Company and the Queen Opera Company. Andrew Childs, tenor has been a featured soloist with many prestigious ensembles, including the Seattle Symphony, Northwest Philharmonia Orchestra, Orange County Youth Symphony and Philharmonia Northwest. He has studied repertoire with noted artists Martin Katz, Graham Johnson, Elly Ameling, Dawn Upshaw and Hakan Hagegard. He was a Guest Artist in the 1998 Composer’s Concert Series at Brandeis University and has sung several world premieres including compositions by Yehudi Wyner, Victoria Bond and Brian Fields. Andrew’s varied operatic repertoire includes the contemporary roles of Albert Herring and Charles in Kurt Weill’s Mahagonny Songspiel. 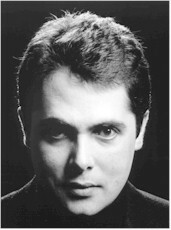 His 1993 portrayal of the title role in Monteverdi’s L’Orfeo won him international recognition. He was featured in Glimmerglass Opera’s 1999 season and the Music Academy of the West’s 1990 and 1991 seasons. Andrew has sung with the Seattle Opera, Glimmerglass Opera, The Center for Contemporary Opera, Harrisburg Opera and Yale Opera, among many others. Andrew completed his doctoral studies in music at the University of Washington and is a faculty member at Thames Valley Music School at Connecticut College. 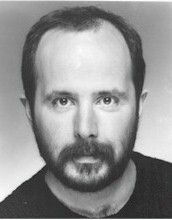 David Shapero, bass has performed throughout the United States and Europe. His U.S. appearances have included debuts with the Cleveland Opera as Don Alfonso in Così fan Tutte, Birmingham Opera as Dulcamara in L'Elisir d'Amore, Cincinnati Opera as Bartolo in Le Nozze di Figaro, Caramoor Festival as Don Alfonso and Osmin in Die Entfuhrung aus dem Serail and Palm Beach Opera in a variety of roles - most recently in the title role of the current production of Donizetti's Don Pasquale, as well as Don Bartolo in Rossini's Barbiere di Siviglia. Last season he appeared with the Caramoor Festival in Lucrezia Borgia and repeated his role as Bartolo with Caramoor, Opera of Pretoria in South Africa and Connecticut Grand Opera. 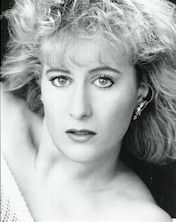 Concert appearances have included Handel's La Resurrezione in Paris with Marc Minkowski, Les Musiciens du Louvre, Haydn's Creation in Amsterdam with Maestro Minkowski and the Amsterdam Bach Soloists, Mahler’s Eighth Symphony with the Boston Philharmonic, Handel’s Deborah with the Boston Cecilia and Brahms Requiem with the Westchester Chorale.